Zazil, a place located in the hills of San Agustinillo, offers various kinds of accommodation , all new and made of good taste and quality. For now they offer 2 cabañas y 1 room to rent. 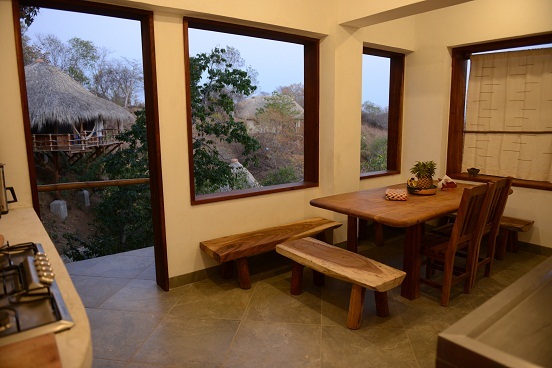 All have access to the big ‘lounge’ upstairs which invites for relaxing, reading, yoga, sharing etc. with great ocean view from Zipolite to Mazunte. 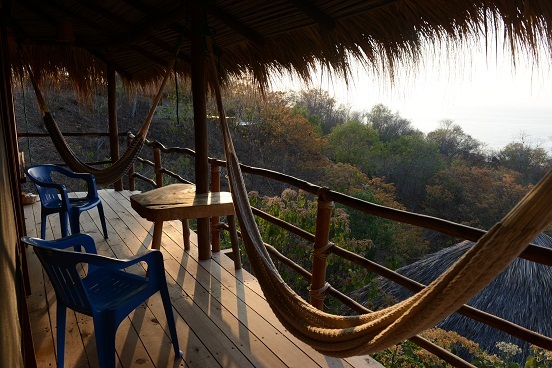 There is a big table for all, hammocks and a sofa. Also to the well equipped kitchen there is access for all but you could also book a breakfast or lunch service. 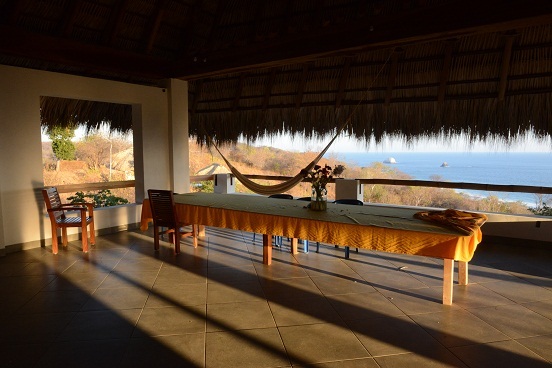 But also the accommodations itself invite for relaxing and hanging out, the 2 cabañas have their own terrace with table and chairs and hammock and great ocean view, the windows are all screened. 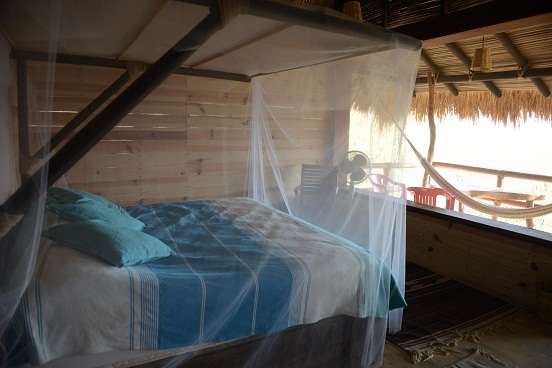 The cabaña ‘Cardenal’ has queen size bed, ‘Iguana’ a king size bed and the room ‘conserge’ a double bed.